Shahid Kapoor and Mira Rajput might be busy parents now but they still make sure that they spend quality time together. The couple often spends quality time over casual dinner outings. 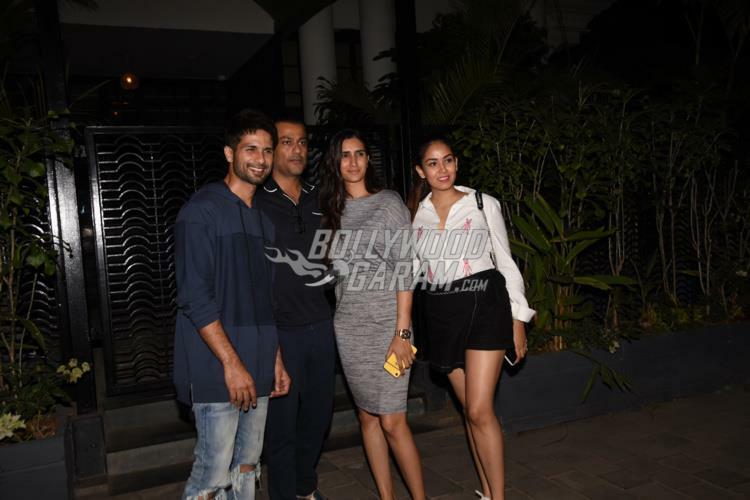 Shahid and Mira were snapped dining out with close friends Abhishek and Pragya Kapoor at a popular restaurant in Mumbai on February 4, 2019. The couple not just looked great together but also looked stylish. Mira looked pretty in a black mini skirt and a white shirt with white sneakers while Shahid was seen in a purple pullover with ripped denims and white sneakers. The couple often spends quality time with each other apart from parenting their children Misha Kapoor and Zain Kapoor. Shahid too has a busy schedule but makes sure that he spends ample time with his family. The Padmaavat actor is currently shooting for the upcoming flick Kabir Singh which is the official Hindi remake of the Telugu flick Arjun Reddy. Shahid was last seen in the film Batti Gul Meter Chalu which also starred Shraddha Kapoor and Yami Gautam.